Our semi-annual BOGO is fast approaching, so mark your calendar. It will take place one day only on April 29th, 2019. Buy one and get one (same item) free. We love this event and it's always very busy and exciting. 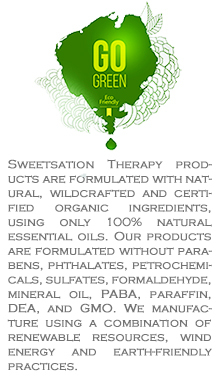 This year we celebrate Sweetsation Therapy's 11th year in business. Please read the rules, as some guidelines will apply. Everything you put in your cart (except 4 Limited Edition products) will magically double. **Products with 'size options' will not automatically double (we are aware of this software limitation), but we are watching for this and will ensure that all the items will be shipped with correct quantity. Due to the magnitude of this event and double weight of additional items that will be shipped, there will be a very reasonable shipping fee of $13 regardless of the size of the order. This is the only time our regular free domestic shipping will not apply. This promotion can not be applied to past orders or extended beyond specified promotion time, as well as can not be combined with any discount codes or coupons (including loyalty, wholesale and recycling coupons). All existing codes will be temporarily disabled. This BOGO promotion does not apply to gift certificates. Aside from that everything is ready for you to shop all day on the April 29th.